View More In Rope - Page 5. 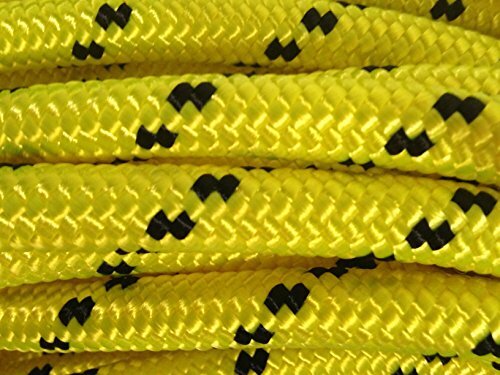 This is 200 feet of brand new 1/2" double braided polyester arborist rope. Excellent line for tree rigging/pulling. This rope is tightly braided for abrasion resistance. About 7,000 pounds tensile strength. Color is neon yellow with black tracers. Made in the USA.